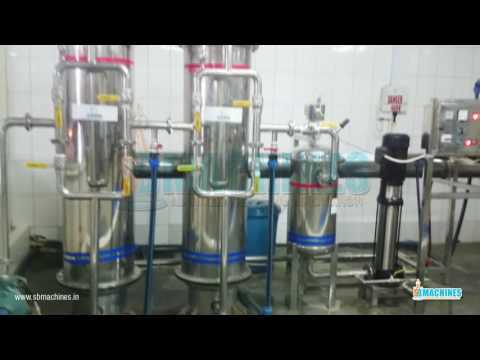 Incepted in the year 2010, in Ahmedabad Gujarat, India, we SB Machines, are the noteworthy manufacturer and supplier of supreme grade Rinsing Filling and Capping Machine, Mineral Water Plant, Mineral Water Packaging Machine. The offered machines are manufactured by making use of finest grade material with the help of cutting-edge techniques in synchronization with set industry norms. Moreover, these machines are checked for their quality on series of quality parameters before being supplied to our clients. SB Machines, are the noteworthy manufacturer and supplier of supreme grade Rinsing Filling and Capping Machine, Mineral Water Plant, Mineral Water Packaging Machine. The offered machines are manufactured by making use of finest grade material with the help of cutting-edge techniques in synchronization with set industry norms. Moreover, these machines are checked for their quality on series of quality parameters before being supplied to our clients. Our offered machines are well-known by our clients for their enormous features such as sturdy construction, smooth functioning, hassle free performance, high speed, long functional life, easy to operate, non-corrosiveness and durability.